These are powerful words uttered by the late John Rohn, an entrepreneur and motivational speaker and the message personally resonated to a powerful degree. Hence, I took a leap of faith and acted on it! 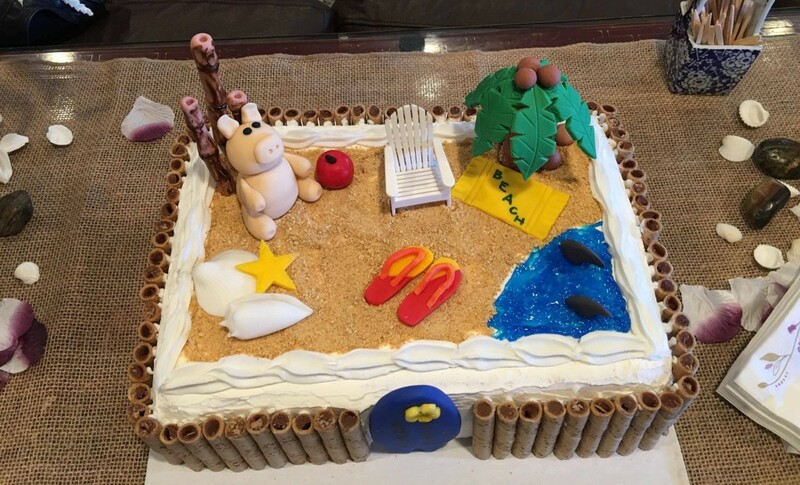 I recently hosted a Luau travel themed party to welcome the first Sunday of March and also to celebrate the launch of my brand new online travel site. I had the privilege of having special guests from Las Vegas, who shared with my friends information about starting a home based online travel business with an open opportunity for building a network of team partners. They are diamonds in the industry and are poised for a much higher level of success in the company. The husband and wife team, George and Beckie Sellners, coincidentally, provide training to new and not so new travel consultants. They are established entrepreneurs and mentors. We had Aloha Trivia game where two of my friends each won a $25.00 Regal Movie E-card, which is also available in the Paycation Platinum Travel Club shopping tab if you’re a member. For more details about Paycation Platinum Travel Membership, go to my booking engine and click on the upper ad where it says Join the Paycation Platinum Travel Club. The guests at my party received 3 Day 2 Night USA travel vouchers and a 5 Day 4 Night Hawaii Hotel Stay was given away during a raffle draw (some fees apply for all travel vouchers). We shared cackles of laughter, ate to our tummies delight, and were entertained to a Hula dance choreography by a fantastic youth and Hula instructor. A Hula Performance made the event a true Luau experience. We party as a family. I’m thankful to all the guests who came to Luau with us, shared their kama’aina spirit, and some even brought food. I thank them for giving me the opportunity to share certain information about my newly established home based business. And I appreciate the help they extended at recommending my booking engine to family and friends. Doing what we love and loving what we’re doing sustains enthusiasm and increases productivity. It is remarkable to be given the opportunity to serve others by helping them with their travel needs. We are all, in varying capacity, vacation or activity planners. Earning while executing something we are already doing is brilliant! In fact, I’m already looking forward to working on a getaway itinerary for a family of three people going this June in Eastern Europe. And I am also excited about planning a trip to Alaska with my family this summer! And my market is definitely global as I have friends from Japan booking for accommodations in Thailand and the Philippines. The opportunity of having a home based travel business may be something you could explore. Also, if starting your own home based business is something you may be interested in pursuing but are intimidated by a lack of experience, high cost, and risks, ask me for details nonetheless. If you want a low-risk and high potential earning, simple-to-start business with continuing support and training, or need a legal and ethical way of lowering your taxes (tax advantages are not available in all countries or region), and then a home based travel business may be something you could consider. Yes, we do have different partners from various parts of the world! The information you get is entirely free. A home based travel business may be utilized as a teachable practical platform for teens and young adult if we want them to get educated and exposed to various facets of running a business. I had been a military spouse for over 20 years and a stay at home wife for the most of it. I am also a homeschooler. My family loves to travel and vacation! I have only recently began the business and had started booking hotels for family and friends already. And the best part is that, at a minimum price, I am also able to use this as a teachable platform for my children especially my 11th grader and college kid to learn front and center, the different areas of running a fully operational business. The $69.95/month fixed cost I pay to maintain my booking engine is a bargain considering the numerous advantages I get from running my own business and having my brood learn the process as well. During the Luau event, a guest, who is a fellow homeschooler decided to join my growing team. We got her website up, scheduled her training the day after at the convenience of her home, and now she’s about done finishing her travel agent certification! If you are decided that you deserve more than just the ordinary, then you are ready to risk the unusual! You can start running a low-risk home based business, be an entrepreneur and plot your financial trajectory! Maybe you and I and your friends, very soon, can establish a sales travel partnership. Let me know! What’s the next travel event? My next hosting event is happening in May, and our party travel destination is Singapore! I’ll introduce you to Chicken Rice and few other Singapore delectable culinary staples. Start planning and inviting your friends to come with you to this event. Watch out for more details later. 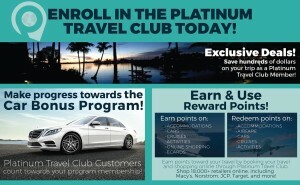 Meantime, if you often travel and just want more options and special benefits, I’m excited to share with you that by joining for only $1.00/day our Platinum Travel Club Membership you get many benefits including exclusive travel concierge service with call back service, last minute deals, and online shopping. You also get loyalty points on all travel related purchases (except flights) and for shopping online in over 18,000 stores. This work is licensed under the Creative Commons Attribution-Noncommercial-No Derivative Works 3.0 United States License. To view a copy of this license, visithttp://creativecommons.org/licenses/by-nc-nd/3.0/us/ or send a letter to Creative Commons, 171 Second Street, Suite 300, San Francisco, California, 94105, USA.